"Luck" is often defined as success (or failure, depending on if you walk with rain clouds...) that is brought on by chance rather than a person's actions. In a sense, I do consider myself 'lucky' to have come across the music of Los Angeles-based artist Sidibe when I did as her single, "See You Girl" and sophomore EP Soul Siren were the type of aural escapism I needed at the time I was introduced to it. I also consider myself lucky to have gotten the chance to chat with Sidibe for an exclusive interview, as my opportunities to engage in conversations with real artists and kindred music spirits is well, embarrassingly rare. I was also lucky to know that Sidibe has a personality as warm and inviting as her music. So yes, luck was all around when it came to Sidibe. 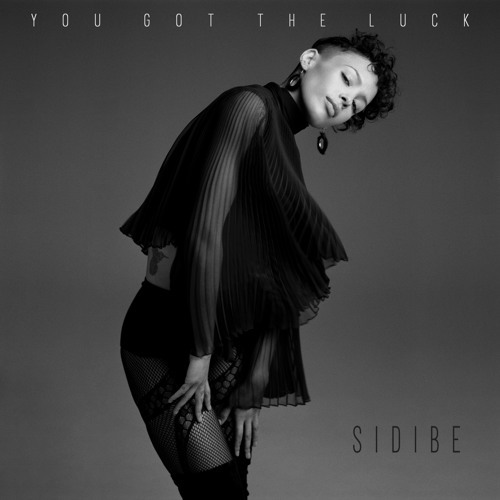 Well, luck (the good kind) has fallen again, as Sidibe has delivered another arresting collection of sensually soulful goodies with her latest EP, You Got The Luck --- a title that cannot ring true enough. Like Soul Siren, You Got Luck is for those who like their soul to transcend genres, as well as remain rooted in the traditional. From the cumulus-parting of ethereal opener "You Wanna Love Everybody" to the steamy and seducing Janet Jackson-esque "Maybe", Sidibe takes you on a sublime n' soulful wanderlust that blends in house, funk, and world music with the casual accessibility of R&B and pop, all of it caressed with Sidibe's angelic coos and come-hithers. It's truly a collection to get lost in not just by the various temperaments in Sidibe's vocals, but by how absorbing the music is, with the Eastern flavors of "Everything I Wouldn't Do" and the intertwining of '70s-era jazz fusion and '90s era neo-soul of the title-track being the key standouts of such experimentation. Also within in this collection you might recall the song, "I'm Only Dreaming", a wonderful neo-funk-disco workout that prior to his untimely passing perked Prince's attentions, as well as mines in anticipation for this collection. + You Got The Luck is available to purchase via Apple Music and Bandcamp, and streaming via SoundCloud and Spotify.